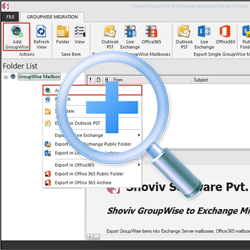 GroupWise to Exchange migration tool is an emerged solution to migrate GroupWise mailboxes to MS Outlook and Live Exchange/Office 365 proficiently. It facilitates to migrate all GroupWise emails, contacts and other mailbox items in very short span of time. It has an integrated option which works on advanced algorithms in order to perform multiple GroupWise mailbox migration in an appropriate way. Having user-friendly graphical interface, it offers the compatibility to work with all versions of Novell GroupWise, MS Outlook, MS Exchange Server and Windows Operating System. *Free Download allows to convert & save 25 items/folder from GroupWise to Exchange Migration. I used the tool for our GroupWise to exchange migration. I had used this for 1200 mailboxes and it helped to get the job done in flawless manner. 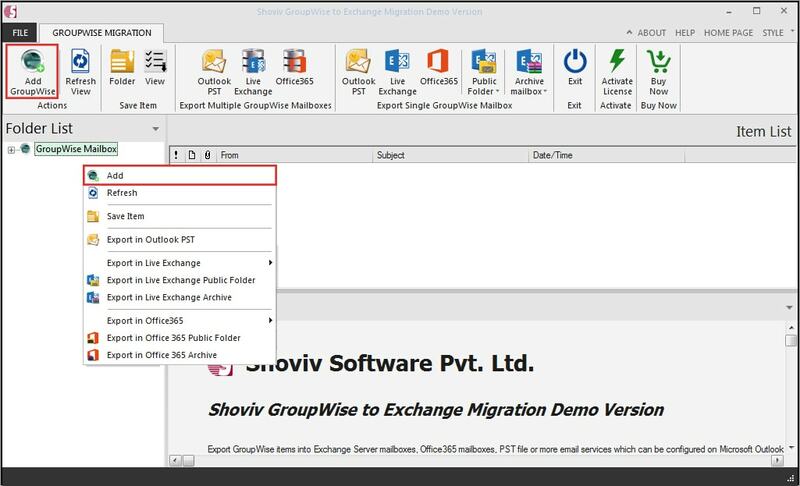 Shoviv GroupWise to Exchange migration has unique GUI. It helps to understand the features & performance without having any supervision. The tool has user-friendly interface and has been designed to provide the simple environment in order to execute the fastest data migration from GroupWise to Exchange Server/Office 365. To establish connectivity with GroupWise, software offers five different options 1- Default, 2-include proxy, 3- remote mailbox path, 4-online, and 5-cache mailbox path. The options can be used according to the situation. Beside this, it also helps the users for GroupWise to Office 365 Migration. The user need to use Office 365 Admin credentials to fetch all Office 365 mailboxes, ensure that all Office 365 mailboxes have full access rights of selected Admin user to perform the migration. Mapping option is also available to map source GroupWise Mailboxes to target Office 365 Mailbox manually or automatically. 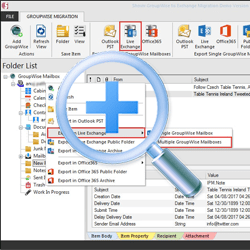 User can also migrate GroupWise Mailbox into Office 365 Public Folder & Archive Mailbox. 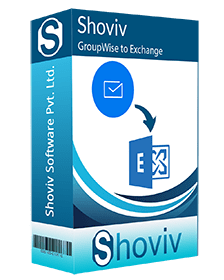 Shoviv GroupWise to Exchange Server migrate GroupWise Mailboxes into Live Exchange Server Mailboxes. At the time of migration, one can map GroupWise mailboxes to target Exchange Server Mailboxes automatically or manually. 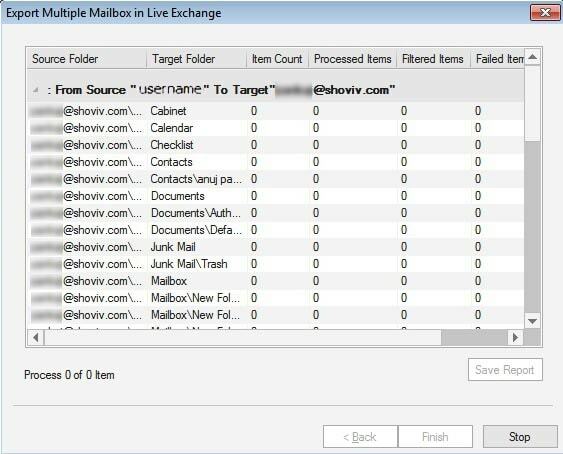 Apart from this, one can migrate GroupWise mailbox in to Live Exchange server Archive Mailbox, Public Folder as well. 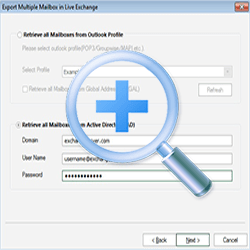 User can export Single as well as multiple GroupWise Mailboxes into Outlook PST files at once. User can choose to create Unicode or non-Unicode PST file at the time while exporting. If GroupWise mailbox size is very large the user can use “Split PST file” option to split GroupWise mailbox data into multiple small PST files depends upon their requirement. 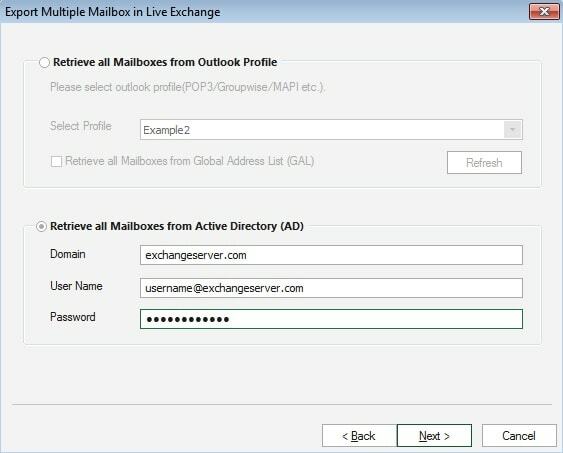 If user have an Outlook profile of live Exchange server, Office 365 or any other IMAP/POP Account, then user can also migrate GroupWise Multiple Mailboxes & Single Mailbox data in to selected profile Email client as well as migrate in to Archive Mailbox & Public Folder. The software not only helps for migration of GroupWise to Exchange Server & Office 365, but also allows the users to save the data in two other formats (such as MSG and EML) into local directory. At that time, while migrating from GroupWise Mailboxes to PST/Live Exchange Server/Office 365, user can use Folder Mapping options. This option helps the users to change the name and location of source and target folder. Before attempting the final data conversion, it allows to take the preview of your date and its properties within the tool. This option helps the users to filter items using date range or item types while performing the export and migration tasks. Can data migration be done online and offline both? Offline data migration is not possible with this software. During the data migration, both the Exchange Server and the GroupWise mailbox should be configured online. 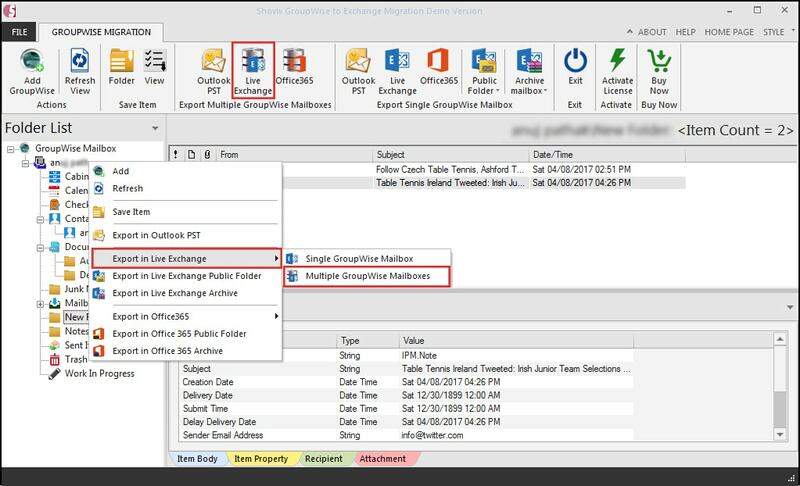 If you have more than one GroupWise mailbox file, then you can upload GroupWise mailbox files in the software using the ‘avail multiple file’ option and can be done the migration process. The fastest speed of GroupWise to Office 365 migration wizard will not be impacted or inflict with the number of files it will work with. Yeah, you have to install Outlook in your system for getting access in the email content data of migrating on Exchange Server. The gorgeous fact is that, the GroupWise to Office 365 migration tool supports all of the versions of Outlook. Can this software help me to access the migrated data in some other mail client? Definite it helps. The software allows to save the file in two more formats MSG and EML. It is known that EML format is supportive to many email clients. Thus, by saving the migrated data in EML format, you will be able to access it in many other mail clients other than Outlook. Will technical support always available? Indeed, 24*7 technical teams waiting for the query to solve and settle the issue at earliest approach. So, don’t worry while buying software from Shoviv. We feel happy to see our customer happy. Our emphasis is your fortune and rely on, so connect us while facing any issue regarding GroupWise to Office 365 migration tool.